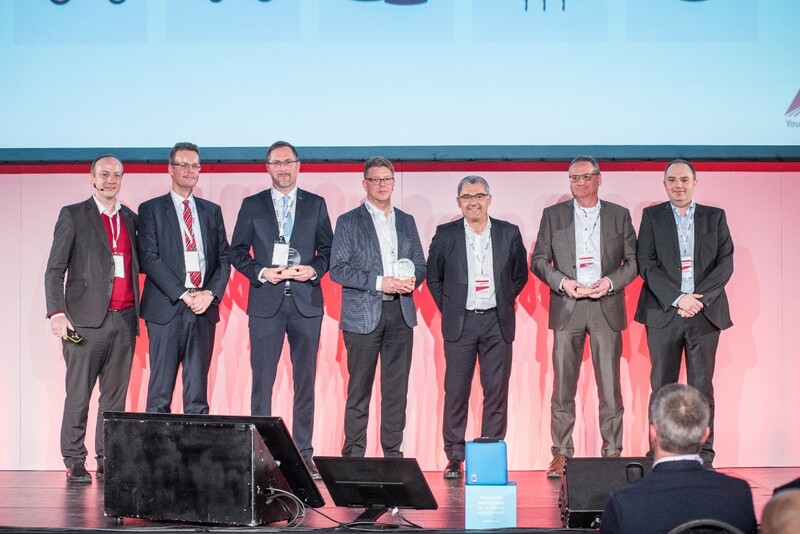 AGCO, Your Agriculture Company (http://www.AGCOcorp.com) (NYSE:AGCO), a worldwide manufacturer and distributor of agricultural equipment, honored its top EME Region suppliers during its annual AGCO EME Supplier Day. 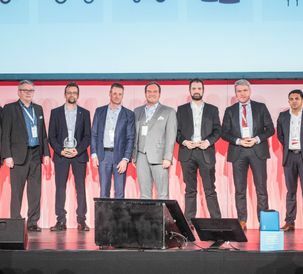 The event was held at the Bálna in Budapest, Hungary on March 19 and was run under the theme ‘Creating Value Together’. 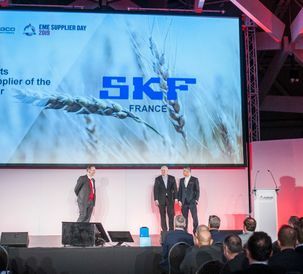 Konstantin Meier-Kulenkampff, Vice President Purchasing & Materials, EME, presented AGCO’s outlook for 2019 and key expectations towards its supply base, as well what AGCO has to offer in terms of growth and Partnership. A key focus in 2019 will be product cost reduction, to help AGCO improve its margin and thus help grow market share and volumes. 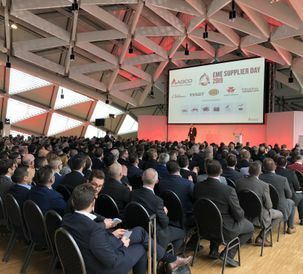 Suppliers who contribute sufficiently towards that goal will benefit from more sales, as AGCO continues to consolidate and streamline its supply base. 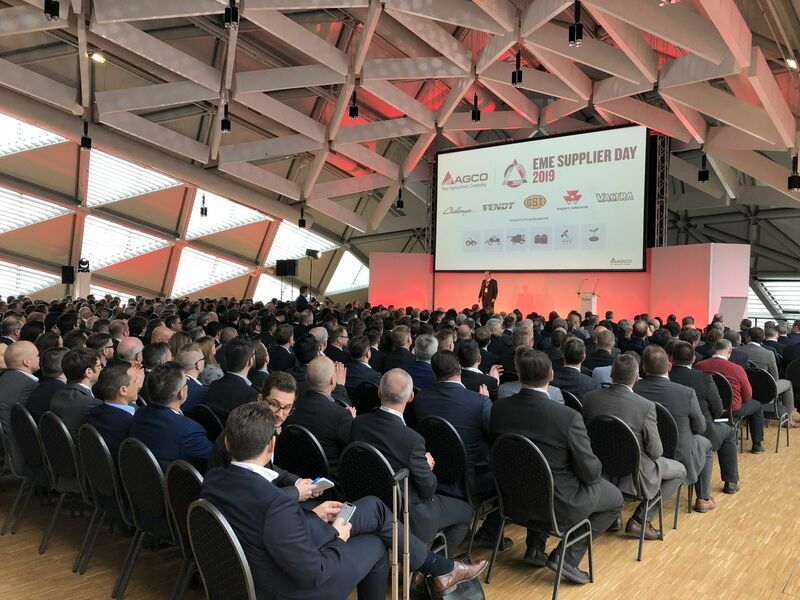 Josip T. Tomasevic, Senior Vice President & Chief Procurement Officer, explained what “Creating Value Together” means for AGCO and how both AGCO and suppliers will benefit from it. Key focus areas are Quality, Operational Efficiency, Profitability, Inventory Optimization, and Supplier Innovation. Delivering sufficient productivities every year is key to support AGCO’s profitability goals. 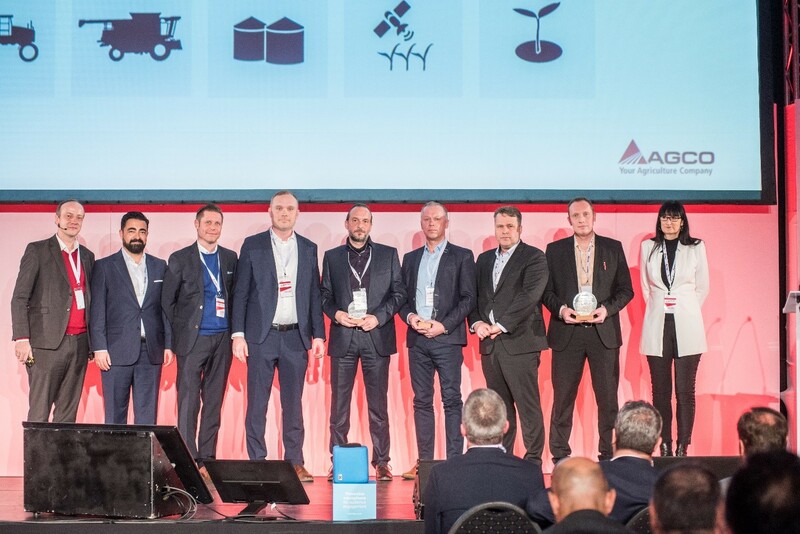 Josip reiterated AGCO’s strong pipeline of new platform products that will help the company succeed also in the future, including its award-winning IDEAL combine, that will soon launch into the market. He outlined how suppliers can win together with AGCO by jointly attaining the Path to Partner. 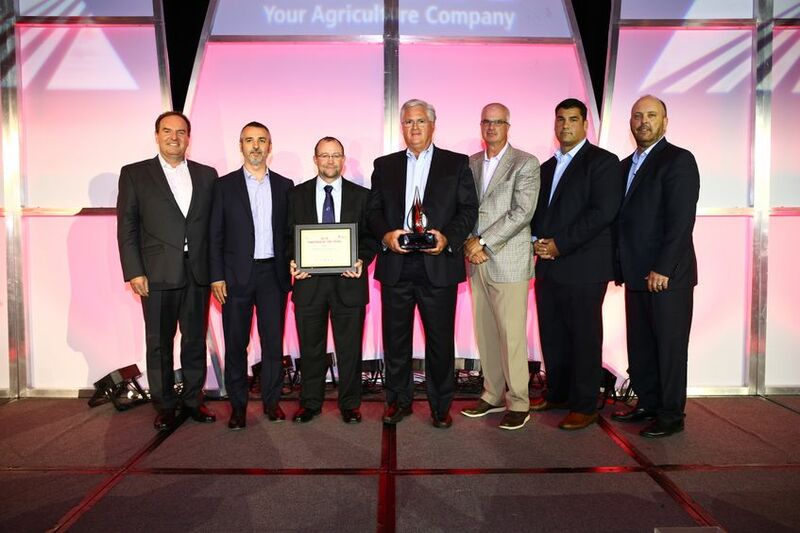 AGCO honored three new ‘Partner’ level suppliers, which is the highest relationship level a supplier can attain with AGCO, recognizing AGCO as a top customer, providing leading innovation and serving as a world-class benchmark. 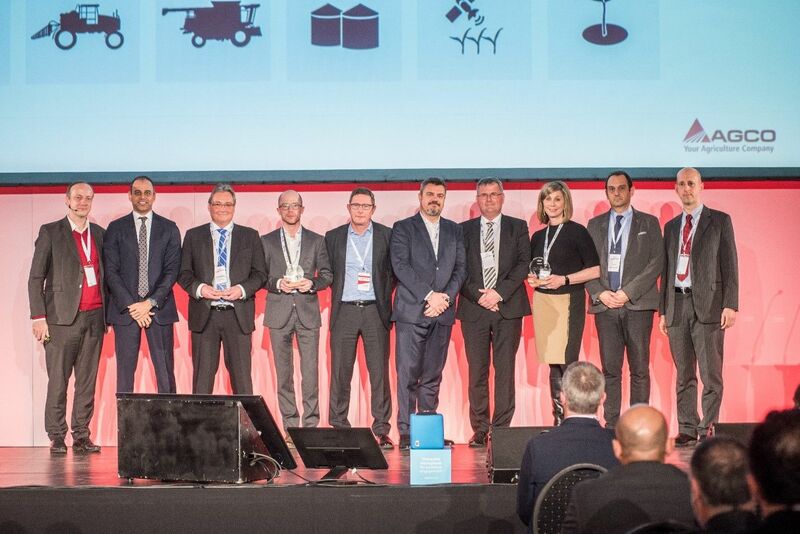 AGCO also awarded 18 suppliers in 8 categories for their special commitment and performance – Collaboration, Innovation, Quality, Logistics, Logistics Service, Parts, NPI and Indirect –, as well as its first ‘Lifetime Career Achievement Award’. 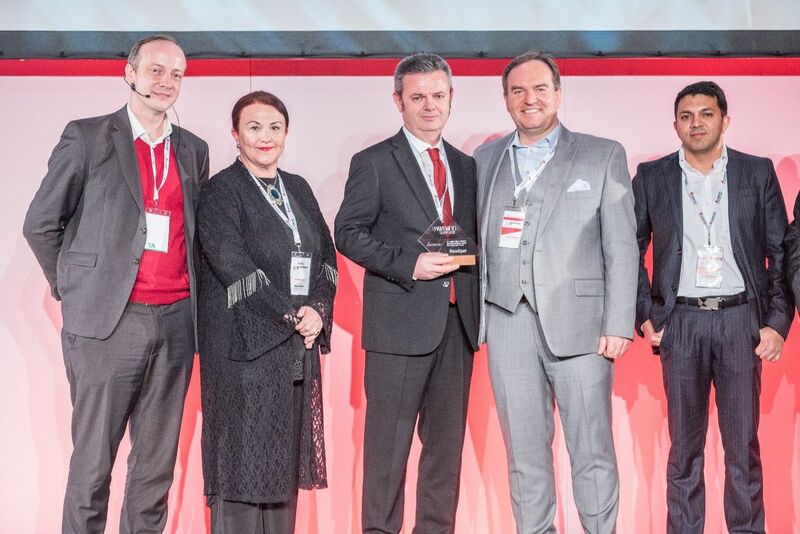 Josip T. Tomasevic, Senior Vice President & Chief Procurement Officer, explained how Izmakpar has evolved as AGCO’s most global Metal Fabrication supplier supplying 12 AGCO sites out of its Turkish best-in-class operation. Izmakpar has consistently excelled in its Quality, Delivery and Cost performance to AGCO. They have been extremely responsive to AGCO’s needs and delivering productivities on their entire sales to AGCO every year. 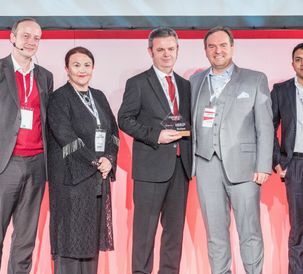 Josip reiterated how that Partnership has evolved not only on the supply side but also on the sales side, as Izmakpar is now also a dealer selling Massey Ferguson tractors in Turkey. 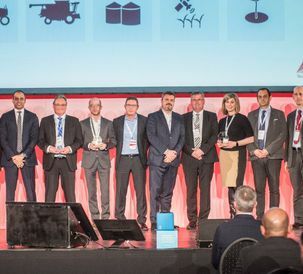 Izmakpar’s commitment to AGCO’s long-term growth has paid-out in growing business, and the recognition as ‘Partner’ supplier is very well deserved. 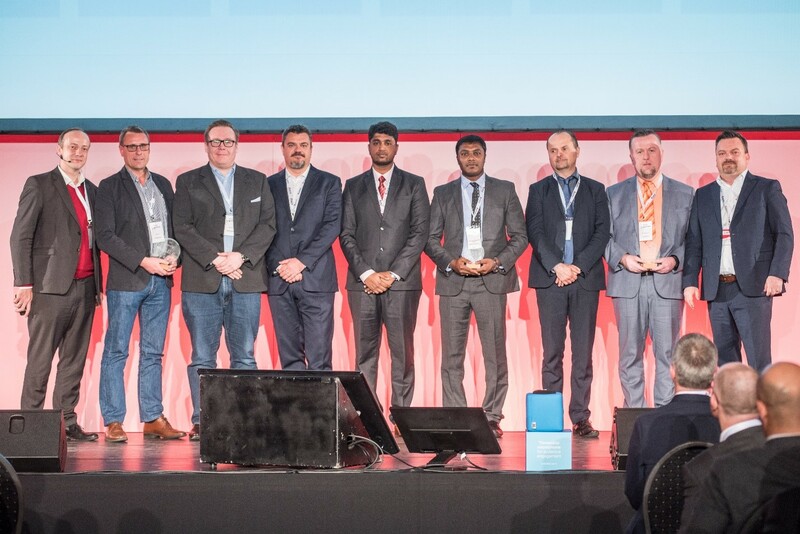 Wolfgang Geiger, Director Purchasing Germany & Global Commodity Director, Hydraulics & Electrical Systems showcased RAFI’s outstanding performance across all value fields: Quality, Cost, Delivery, Innovation, and Service. 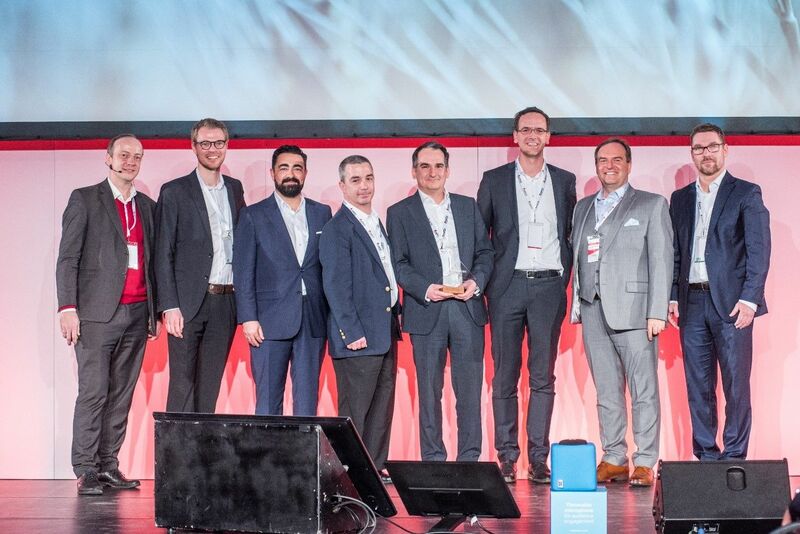 As a true reflection of Partnership, RAFI has demonstrated its willingness and ability to ‘go the extra mile’ for AGCO time and again over the past two decades, always treating AGCO with priority. RAFI has been fully transparent on cost and has been delivering year-over-year price reductions. 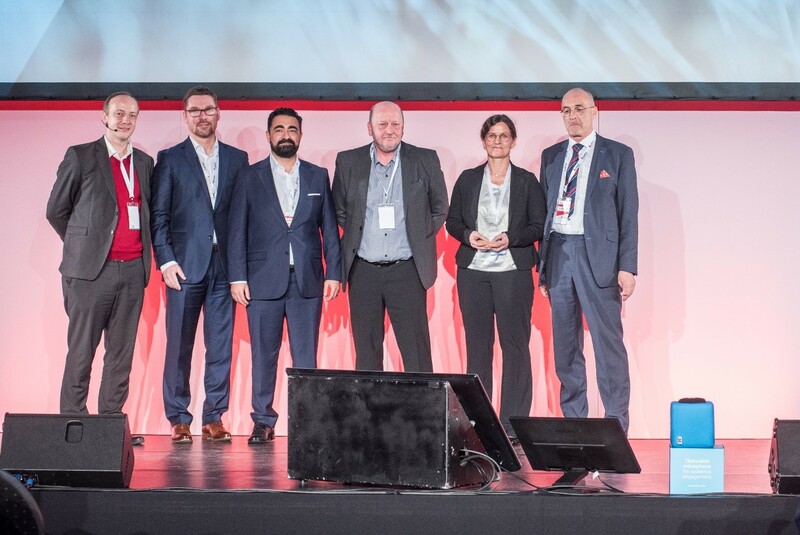 RAFI has also been supporting AGCO with excellent Logistics and perfect risk mitigation processes, by sharing their best practices and innovations from other industries they supply. 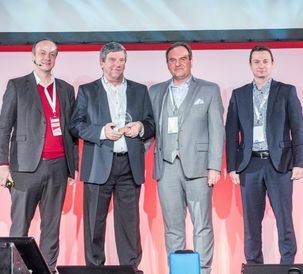 The Valtra “Smart Touch Armrest” won several industry awards and helped AGCO set itself apart from the competition. Greg Toornman, Vice President Global Materials, Logistics, and Demand Planning reiterated how 4flow has partnered up with AGCO to bring to life its award-winning global inbound logistics network, that has helped AGCO significantly improve delivery performance as well as costs optimization on a global level. What AGCO and 4flow have is a true partnership. It’s a huge differentiator in the marketplace that helps us excel in delivering on customer expectations, operating performance levels, and supporting our cost targets. After seven years of successful collaboration with 4flow in Europe, China, North America, and South America, we’ve now completed the global integration of over 3,150 AGCO suppliers, all within the original timeline we set back in 2012. In addition to exceeding AGCO’s expectations in a wide range of metrics, Partner Suppliers must consistently create significant value with AGCO on a global scale. 4flow’s integrated transportation management software and continuous optimization solutions enable AGCO to efficiently integrate, operate and oversee its highly sophisticated and dynamic supply network around the globe. True partnerships enable companies to achieve significantly more together than what they can achieve independently. 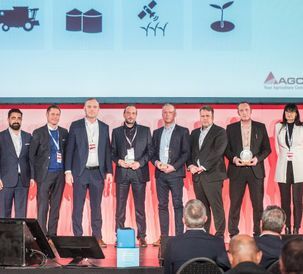 Josip T. Tomasevic, Senior Vice President & Chief Procurement Officer, explained how Meconet and AGCO have been ‘creating value together’ over the past three decades with its complex deep drawing metal components. Thanks to their expertise and strong manufacturing and tooling know-how, Meconet has been able to deliver immense value to AGCO, already starting from the design phase. This early involvement has helped AGCO avoid unnecessary costs and ensure timelines were met. 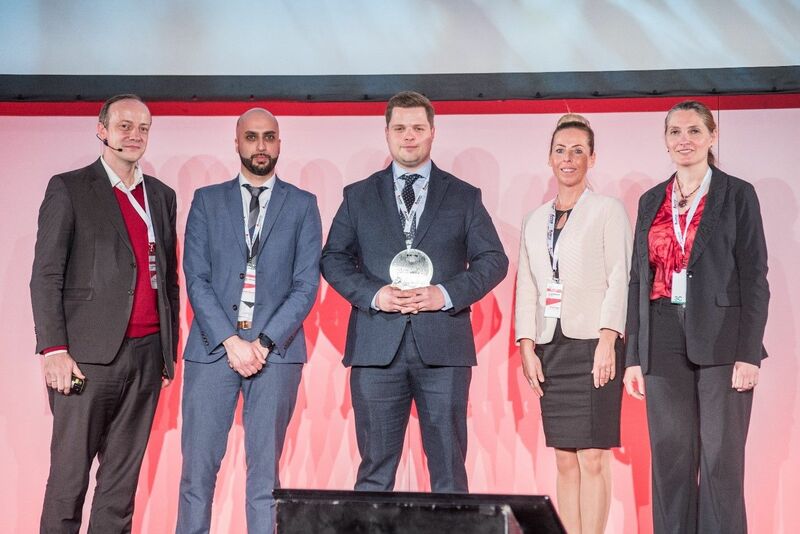 They have been providing excellent support to AGCO throughout the entire development process and helped AGCO meet its challenging NPI targets. Meconet has been very transparent on product and tooling cost, as well as delivering productivities, as a prerequisite for mutually beneficial collaboration. solution focus whenever challenges arose, and through their excellent cooperation with AGCO’s development departments. 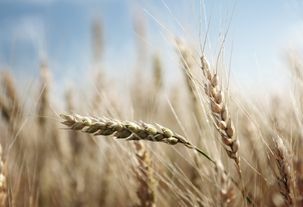 They have also been very fast in implementing the requested solutions and helped AGCO meet deadlines and cost targets. Mose Tosin, Manager Supplier Quality, Beauvais, explained how Donaldson has earned this prestigious award through their diligent and successful implementation of a rigid Quality process, already during the development phase, as well as excellent quality performance in series production, beating its commodity PPM target of 25. Donaldson has been very pro-active when quality issues were detected, following-up and organizing inspections to make sure no defective part could find their way into the supply chain. They have shown a continuous improvement mindset and took ownership and taken special action to insource processes when it was required to keep full control over the quality process. 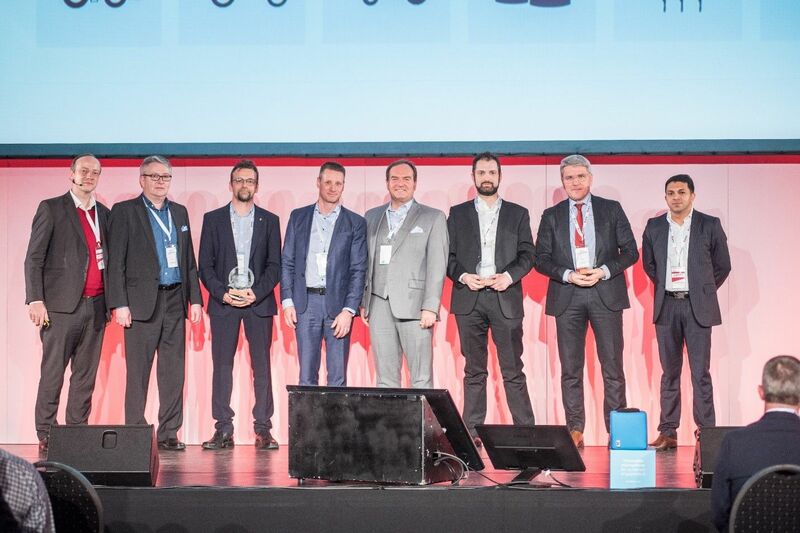 Sabine Gutbrod, Manager Supply Chain Strategy, AGCO/Fendt congratulated this year’s award winner Harz-Guss Zorge, who have been providing high-tech casting products and solutions to Marktoberdorf for more than 40 years, and meanwhile also AGCO’s engine plant in Linnavuori. 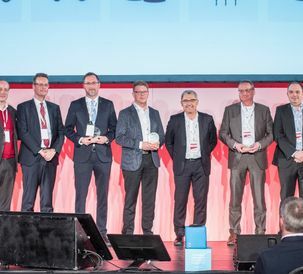 Despite the tough market conditions faced in 2018, Harz-Guss were capable of maintaining a high On-Time Delivery, averaging between 95 and 100% for both plants. 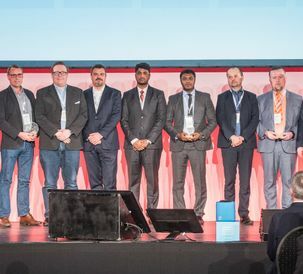 They also made sure that AGCO could rely on their full flexibility as they were delivering a large number of Kanban-driven parts in high volume while providing very complex castings. 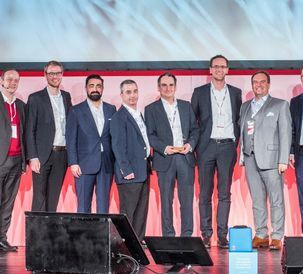 Harz-Guss deserves receiving this award as they have proven themselves as an outstanding and competent supplier through their solution- and future-oriented way of operating. 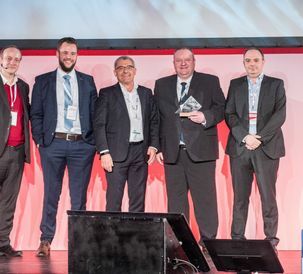 Rainer Haerle, Manager Transportation, AGCO/Fendt presented the award to Gustav Ziegler GmbH, forwarder for special deliveries across Europe, with whom Fendt had already been cooperating in a trustful relationship with for 45 years. They have not only provided high service quality to Fendt but also increased their service portfolio by servicing AGCO’s Valtra and Massey Ferguson brands. Gustav Ziegler GmbH not only develops, constructs and produces specially customized trailers, they also deliver AGCO’s tractors and other agricultural machinery like choppers, combines, sprayers, balers to AGCO’s final customers. Flexibility, reliability, and Swabian perfection are the characteristics of this outstanding transportation company. 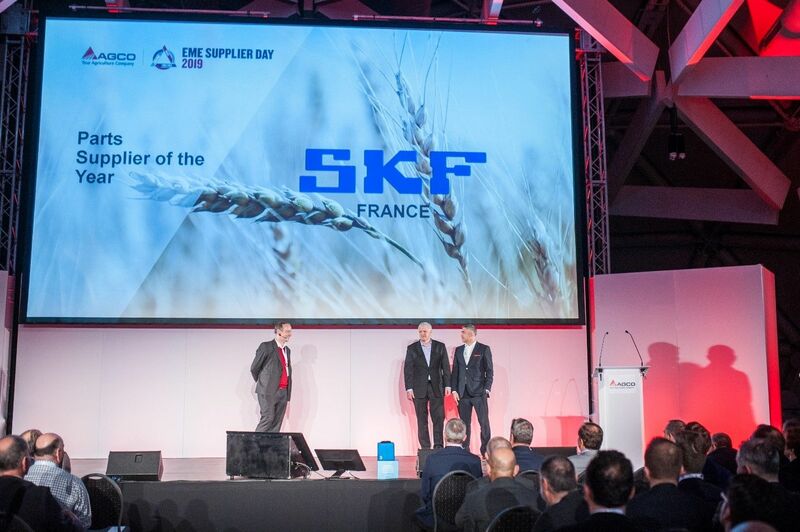 Richard Belden, Senior Manager, Purchasing & Strategic Sourcing Global Parts, outlined how SKF France has mastered the challenges of 2018 through their customer dedication and commitment of their supply chain team, that allowed AGCO to continue to provide a secure source of supply to its customers. 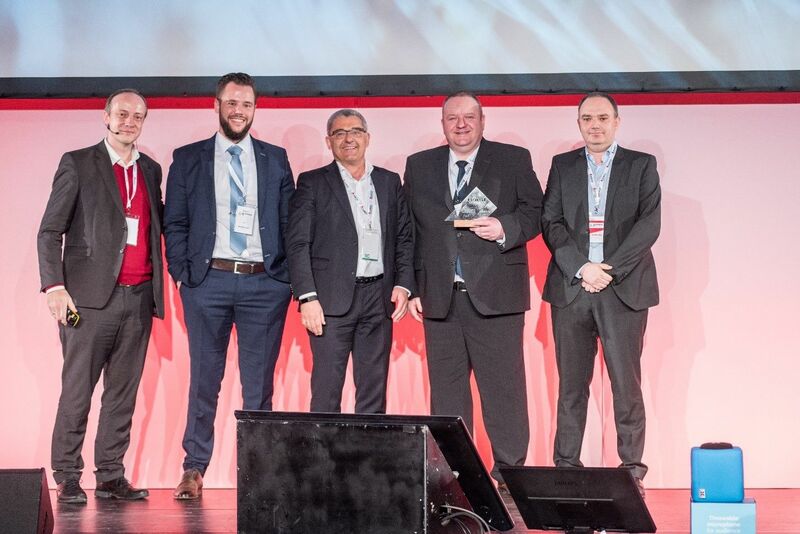 AGCO recognizes the outstanding On Time Delivery performance, the commitment to keep lead times at reasonable levels, and the consistent, reliable and open communication that could only be achieved through true teamwork. 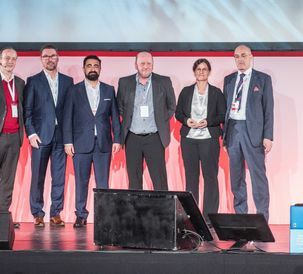 Beatrice Walker, Director, Global Commodity Indirect Procurement, Goods and Services, explained how CDW succeeded in winning AGCO’s global bid for a global preferred reseller to supply Software, Desktop Hardware and Server Infrastructure in 2018. It met all the key criteria: global leverage, single point of contact, global standardization, ease of transaction, cost competitiveness, and delivery & responsiveness performance. CDW has helped AGCO achieve its targeted savings and proven that they have the potential to expand to cover IT requirements in other peripheral and professional services transactions. 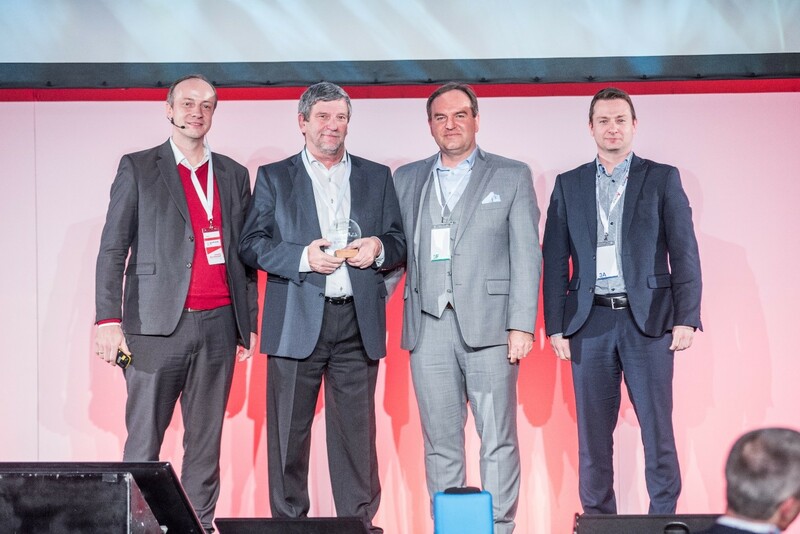 Finally, Josip T. Tomasevic presented AGCO’s first ever ‘Lifetime Career Achievement Award’ to Dieter Mühlhoff for his year-long personal devotion to developing a strong Customer-Supplier relationship. 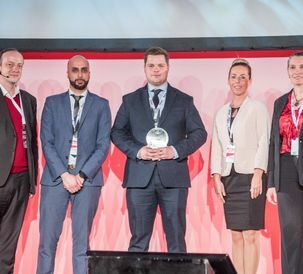 Dieter has been working as AGCO’s Key Account Manager at Michelin and represented AGCO’s voice within his own organization, which was especially crucial especially during the challenging years of shortages, to ensure AGCO’s production lines kept running. A great Key Account Manager fights the right battles within his own company to push customers request, as well as fights the necessary battles with the customer to protect his own company’s interest, managing the difficult times while enjoying increased market shares in good times. That is precisely what Dieter did. He handled the pressures, fought fiercely on all fronts and achieved a positive result for the customer as well as for his own company. This allowed for a true WIN-WIN situation. AGCO (NYSE: AGCO) is a global leader in the design, manufacture, and distribution of agriculture equipment and solutions and supports more productive farming through its full line of equipment and related services. AGCO products are sold through five core brands, Challenger®, Fendt®, GSI®, Massey Ferguson®, and Valtra®, supported by Fuse® precision technologies and farm optimization services. Founded in 1990, AGCO is headquartered in Duluth, GA, USA. In 2018, AGCO had net sales of $9.4 billion. For more information, visit http://www.AGCOcorp.com. For company news, information and events, please follow us on Twitter: @AGCOCorp. For financial news on Twitter, please follow the hashtag #AGCOIR.